The England Performance Pathway is a vital part of improving the standard of competitive netball played in England, with its main aim to ensure there is an increased number of better quality athletes progressing from the Academies into the England High Performance programme and INTCs. The Performance Pathway will act as a conveyor belt for high quality English athletes, taking players from 11-12 years old, all the way through to our Senior National team. 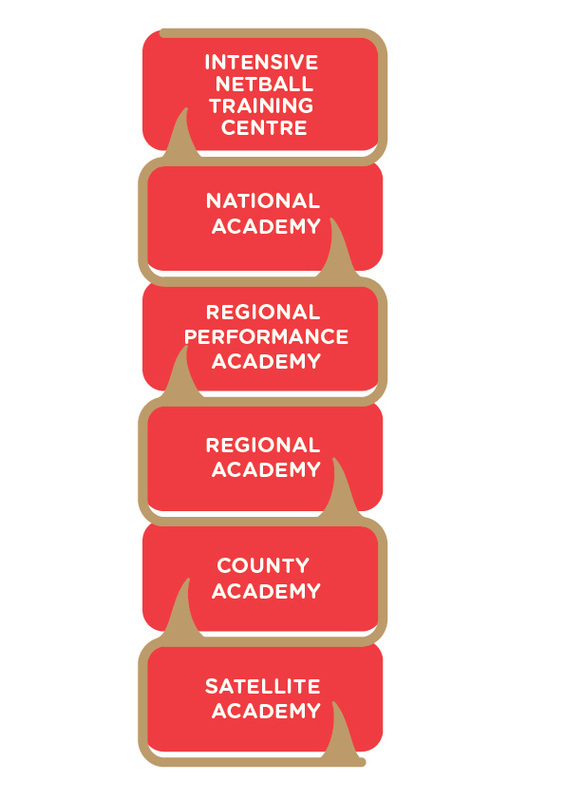 The Regional Selection Policy sets out how athletes are identified and selected into the Regional Performance Programme ( Regional Academies and Regional Performance Academy) and for nomination to National Academy Screenings. It reflects the current National Selection Policy. The Selection Policies and Procedures will be transparent and accessible. At all times the policy will be widely communicated and adhered to. The Selection Policy and Procedures will be made available to all members. The policy will be available on the Regional websites at all times and will be made available directly to all athletes entering the selection process. The Selection Panel responsible for selecting athletes into the Regional Performance Programme is to be agreed by the England Netball Performance Pathway Manager.